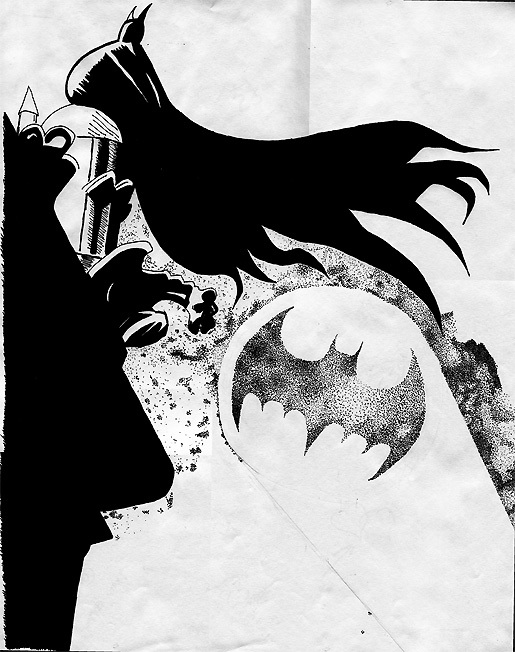 Below you’ll find a drawing of Batman I did back in 1988 that I recently unearthed. I drew it free hand, but based it upon a Brian Bolland panel in Batman: The Killing Joke (see further below for that original panel). My drawing measures 13 inches by 17 inches, whereas the original panel measures a mere 2 inches by 3 inches. I never finished the drawing completely, but got pretty far along. I’m guessing I did this while I was learning about pointillism in school. While I don’t claim to be an artist of any sort, I thought this came out pretty good. 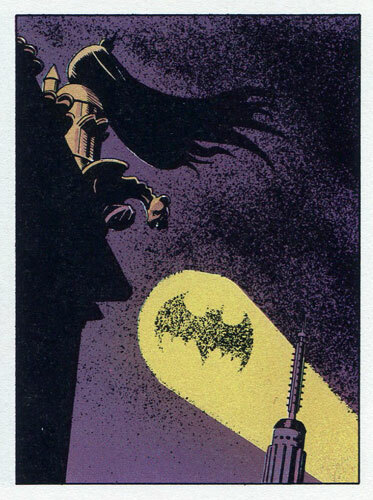 Below is that original panel by Brian Bolland from Batman: The Killing Joke. So, you’re like a tracer?